Hi everyone, my name is Charlotte Anderson and I am a beekeeper. 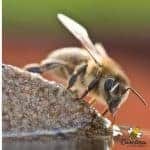 Why beekeeping? Well, it’s because honeybees are so cool. Imagine managing a box of 60,000 insects and producing something to eat ! What is the most popular question I am asked ? “Do you get stung?” . Yes, I do but not as often as you might think. 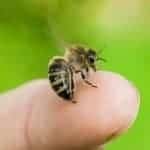 Knowing how to manage bees properly and safely is an important part of beekeeping. Dad and I promoting honey bees at Hagood Mill Historic Site. Dad passed away in the Spring of 2017. Thank you Dad, “always in my heart”. I have spent all my life here in the foothills of the South Carolina mountains. I have always had a special love for the land and a great appreciation of nature. My hobby farm features chickens, goats and a vegetable garden. We have pasture, woods and two fresh water streams. The addition of honeybees seemed like a great idea. A honeybee colony would provide honey, beeswax and good pollination for my garden. Receiving the South Carolina Master Beekeeper Award in 2012. 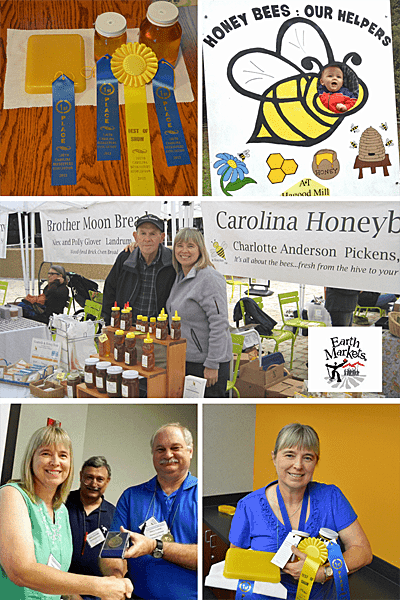 I was the first Female Master Beekeeper ever in the state of South Carolina. The challenge of becoming a beekeeper was something I was ready to undertake. However, the local library did not offer much material about becoming a beekeeper. Thank goodness for Google and Amazon. After some research into honeybee management, my journey into the world of beekeeping was underway . A craft primarily dominated by men, beekeeping is seeing a surge in interest from women. 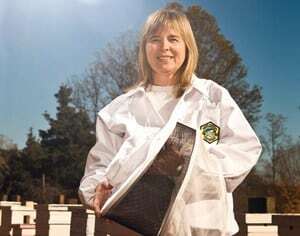 Yes, woman can be beekeepers and darn good ones too ! My apiary (bee yard) is at my home. The number of bee hives I have varies depending on the time of year. My goal is to provide the best possible natural management methods for my honeybees. My plan revolves around being respectful of the bees and their needs. I do not “rob” the bees of all their honey. I do not feed them High Fructose Corn Syrup. As much as possible, I let them bee ! Participating in numerous educational events of the years has given me the pleasure of sharing my journey with others. For more than 10 years, my father and I volunteered at the Hagood Mill Historic Site near Pickens, SC. I have enjoyed conversations with beekeepers from all parts of the world. Combining my love of beekeeping and an Education Degree from Clemson, the world of the honey bee came alive for visitors. With years of experience and study, I have come to appreciate my honey bees even more. My ebook “Buzz into Beekeeping” provides simple easy to follow instruction for new beekeepers. From choosing the best bee hive location, to preparing your colonies for winter. For less than $10, you can take a close up look at the beekeeper’s world. (For more info on my book: Click Here). Sign up for my elist . Each year, I sell a limited amount of Wildflower Honey, Sourwood Honey, Beeswax Candles and Goatmilk & Honey Soap.